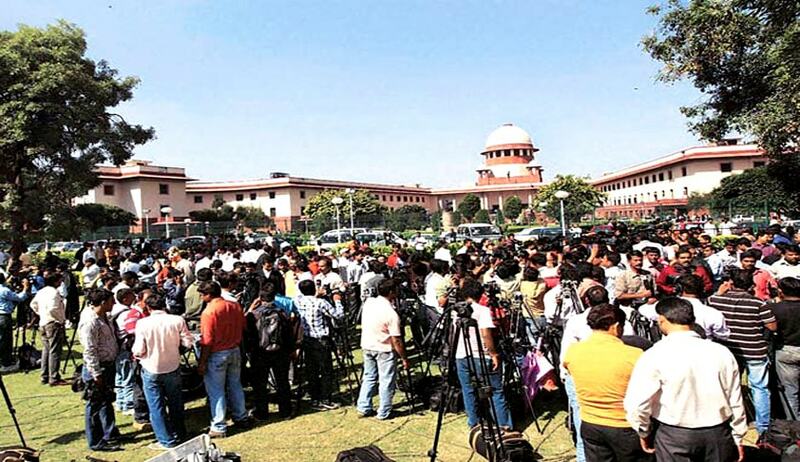 A PIL has been filed in the Supreme Court challenging the constitutionality of the Ministry of Information and Broadcasting’s circular of August 7 “advising” that the media may refrain from using the nomenclature “Dalit” while referring to members belonging to Scheduled Castes. The notification, which directs that the Constitutional term ‘Scheduled Caste’ in English, and its appropriate translation in other national languages should alone be used for all official transaction, matters, dealings, certificates etc. for denoting the persons belonging to the Scheduled Castes, has been contended to be ultra vires, arbitrary, irrational, unreasonable, discriminatory and in the teeth of Article 14, 15, 19 and 21. The impugned circular was issued by the Ministry in compliance with the order dated June 6 of the Bombay High Court in Pankaj S/o Leeladhar @ LalitjiMeshram v. Joint Secretary and Ors. In this PIL, orders/ directions were sought against the Central Government, the State Government and the Media, restraining them from using the word ‘Dalit’ in communications while referring to members of the Scheduled Castes, for the ostensible reason that it was derogatory against persons/ communities so identified. It is submitted that the word “Dalit” is a self- chosen name, a “positive self- identifier and as a political identity”, to describe the pan-Indian community of all those who have been affected by the Caste System and the practice of untouchability for several centuries and thus deprived of social, economic, political and cultural rights. The “Dalit” identity is a hard won identity that the Community has chosen for itself. The Community identifies with the word ‘Dalit’, pride for the history of the Community’s past and ongoing struggle against the caste system and its various evils; with continued and relentless activism against oppression, discrimination and untouchability; and with the continued quest for full and equal citizenship as contemplated under the Constitution. The community considers the word ‘Dalit’ “an anchor for the movement for establishing a society based on liberty, equality and fraternity”. The word ‘Dalit’ is a very substantive part of the consciousness of this pan- Indian movement, and cannot be excised from it without causing great harm and damage to it. The embracing of the word ‘Dalit’, by the Community, with all its rich history and context, is also an explicit rejection of the identities imposed by Caste Hindus and outsiders upon the Community, and the accompanying imposition of hegemonic caste structure upon them. It is also an assertion of their dissociation from external patronage and reliance on autonomous movements for their emancipation. The ‘Dalit’ identity helps the diverse communities of notified scheduled castes across the country to unite under a common banner and associate, mobilize and gather consensus on the various common issues that need redress. It is argued that the circular has no rational nexus to its ostensible objective, being to prevent hurt and insult caused to people and communities by the reference to them as ‘Dalit’, and that the reason cited is baseless. In any event, the Scheduled Castes and Scheduled Tribes (Prevention of Atrocities) Act, 1989, already contains provisions punishing the reference of a member of any of these communities by caste names and there is no need for further regulation. The petition filed through Advocate Sriram P claims that directing private channels not to use the term “Dalit” and thus ensuring its erasure from public consciousness,creates a chilling effect on the use of the term by individuals for their self-determination, identity formation, personal autonomy and self-expression. Moreover, it is alleged that the circular “insidiously seeks to prevent the consolidation of a Dalit Identity to prevent persons and communities identifying as ‘Dalit’ from associating to mobilize and organize across the nation for the realization of their common goals”.